A combination of hidden object and tile-matching. Liong: The Lost Amulets is a refreshing combination of hidden object games and tile-matching puzzles and also has a variety of mini games. Along your journey you'll visit hundreds of unique locations and collect power-up pearls. Reveal the magic spells and restore the sparkling gems of the magical amulets. 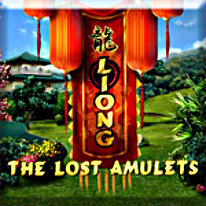 Featuring 2 game modes, 100+ levels of game play, challenging Mini-Games and Hidden Object fun, Liong: The Lost Amulets truly is a game unlike any other.